Join Me in The Residence on Today’s Inaugural Etihad A380 Flight From JFK! Etihad Airways begins flying its gorgeous new A380 between New York and Abu Dhabi this afternoon, and I’ll be on board for the first flight! Well, not only on board — I booked The Residence for today’s inaugural. While the timing isn’t the best, with Thanksgiving just a few days away, I chose to keep my booking on the inaugural when Etihad decided to move the flight up by a few weeks last month. 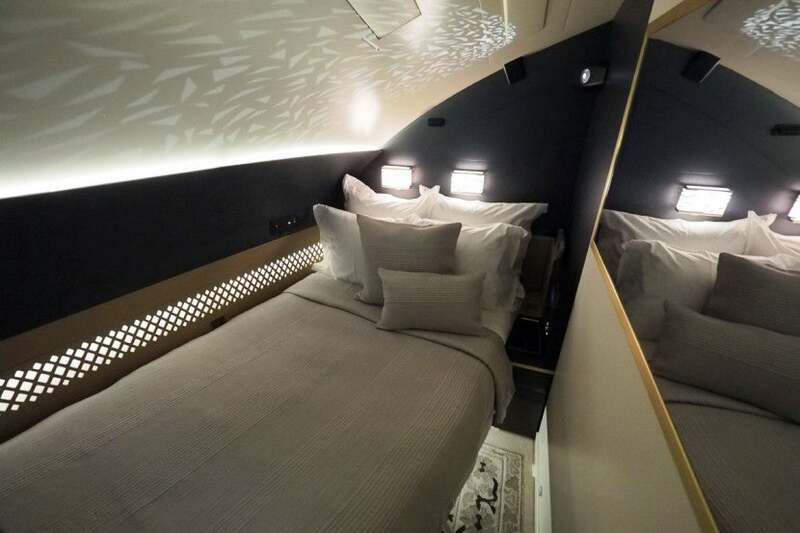 I’ll be spending a day in the UAE before making my way back to the States in time for Thanksgiving dinner on yet another carrier’s impressive blinged-out first class (more on that later). I’ll be well-rested for my arrival in Abu Dhabi. My flight will depart JFK at 2:30pm ET, and while it’ll be fun to join an inaugural, I’m most excited about finally getting to spend some quality time in Etihad’s ultra-lux three-room Residence suite. With 13+ hours on board, I’ll have plenty of time to eat, try out that comfy full-size bed and share my adventure live via the A380’s satellite Wi-Fi. I’m also bringing a video producer with me and we will be testing out the product to the max, with videos and a full review (and other content) coming out over the next week. You can follow along with the journey on social media, as I’ll be sharing the experience on all of the TPG social media channels, including Facebook, Twitter, Instagram and Snapchat (username: thepointsguy). You can also follow along with hashtag #tpgresidence. Connection-permitting, I’ll be uploading content throughout the flight. I’m looking forward to lounging in the Residence’s living room. Oh, and you’re probably wondering how I’m getting to fly in The Residence on what’s perhaps Etihad’s most significant A380 launch to date… Well, I booked as soon as the (original) date was announced and paid for the ticket. I paid $32,058 for the flight, which is a ridiculous amount to spend to fly one way from New York to Abu Dhabi, but it’s a business expense and a once-in-a-lifetime experience. While I was originally planning to bring a guest (a second passenger is included in the fare), the last-minute change in dates to over the holiday week hampered that plan and it would have been tight while filming. The good news is that since I paid for the flight with my Premier Rewards Gold Card from American Express, I earned 3 points per dollar. As you can see below, I earned a whopping 96,174 Membership Rewards points for the one-way flight. I conservatively value Amex points at 1.9 cents each, so that’s like getting $1,827 in value back, though I will get even more than that since I love transferring just 62,500 Amex points to Aeroplan (soon 70,000 points) and booking Lufthansa first class to Europe. I’ll also earn 400% of the flight distance in redeemable miles, for a total of 27,408 Etihad Guest miles — believe it or not, that’s nearly enough for a round-trip transatlantic business-class flight on Brussels Air! I can easily transfer points from Citi ThankYou earned with my Citi Premier Card to fill the gap. 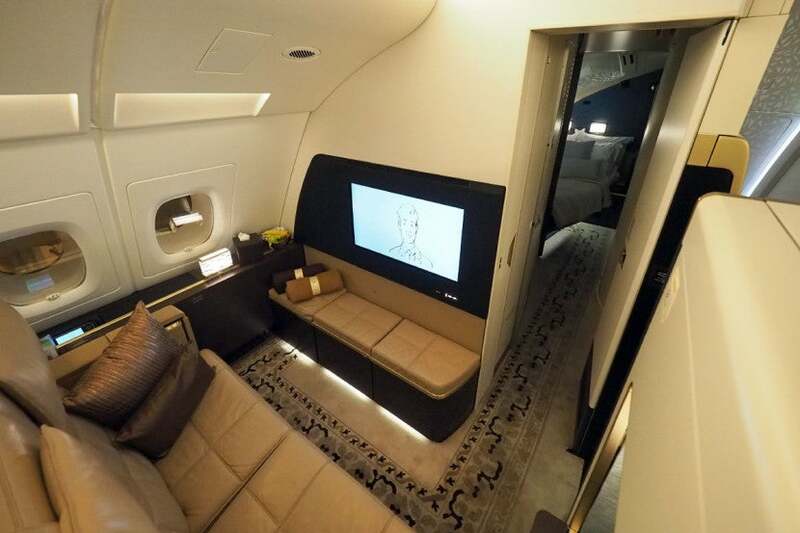 For more on the Etihad’s A380 in advance of my flight, check out our tour of the Residence suite, as well as a review of Etihad’s A380 Apartment, which you can still book using AA miles at a reasonable rate (if you manage to find any award availability).